Southern are an old established traditional finance house, who have traded from their Southampton headquarters since 1957, providing facilities to help private and business customers purchase new and used vehicles. Southern are the consumer finance division of R. Raphael & Sons plc, one of the oldest independent banking houses in the United Kingdom, established in 1787. Yes, they are regulated by the Financial Services Authority, like all major banks. Southern are also members of the Consumer Credit Trade Association, a consumer credit body, formed in 1891. What products do Southern Finance? 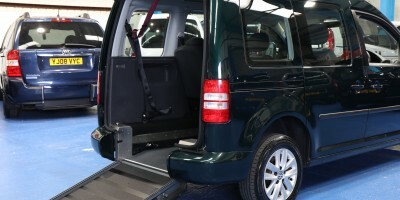 New and used wheelchair adapted vehicles. What facilities do Southern offer? 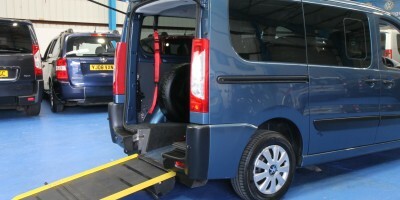 Traditional Hire Purchase, where ownership of the vehicle passes to the customer. Do Southern use a Credit Scoring system to assess the customer’s? No-each application is considered on an individual basis. You do not need to be in full time employment to apply. Your ability to meet the monthly payments is the most important factor to Southern-they take their role as a responsible lender very seriously and endeavour to structure a financial repayment and term to suit your circumstances. Southern try to structure the transaction to suit individual circumstances, so please ask re a deposit when seeking a quotation. Minimum £1000 and there is no maximum amount-this will be linked to the profile of the private, or corporate applicant. Can my allowance be paid directly to Southern ? No, Southern collect payments from your bank by Direct Debit Order. Can I settle my finance agreement early ? Yes. You can either partially, or fully settle the finance agreement at any point. Southern can deal with all of these circumstances, without problem. Is there a limit to the number of individuals will combine on a finance agreement ? No. Southern have the ability to transact agreements/take into account multiple allowances, so please ask. How long must I wait for a decision on my finance application ? Southern will normally confirm their decision within 24 hours of receiving an application.